Hello! I just upgraded my storage to SSD, so I did a fresh install of my OS along with the drivers. 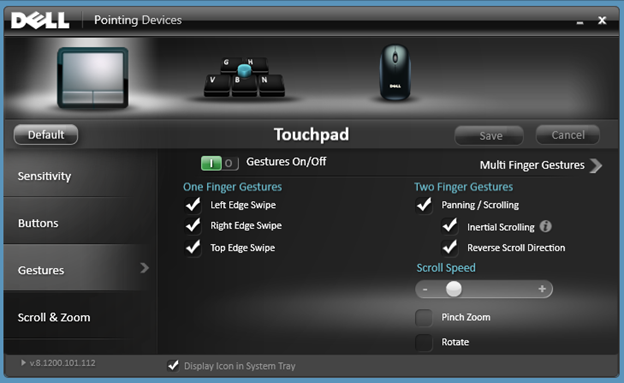 Unfortunately I don't seem to find Synaptics Touchpad UI Driver for my Inspiron 3452. Can anybody help us with this please? The user interface looks like attached that's what I'm refering to. Note : I've tried driver from the download & drivers section support for my notebook, but none of those are working. You do not mention which specific operating system, but, after an operating system installation, you need to install every Chipset driver, restarting after each one has finished. Then install the Quickset Application, restarting after done. Then the Touchpad driver, restarting after done. Dell Knowledge Base / What is Dell Quick Set Utility? Please click on link below and then expand Application. You'll see Dell Quickset App.